Fundraiser by Robin Tomlin : The Wolverines are going to the Hall of Fame! The Wolverines are going to the Hall of Fame! WE ARE HONORED TO SAY THAT ACHIEVED OUR GOAL THANKS TO A VERY GENEROUS DONOR!! THANK YOU ALL FOR YOUR SUPPORT!! 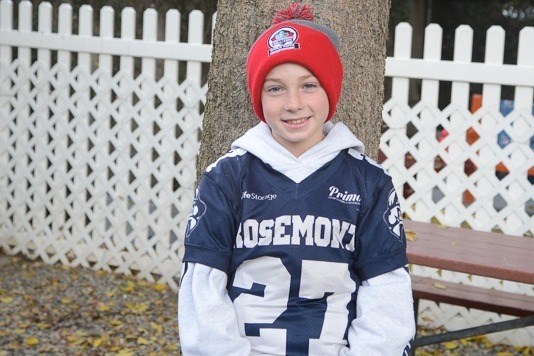 Jesse has been battling brain cancer since he was two years old. 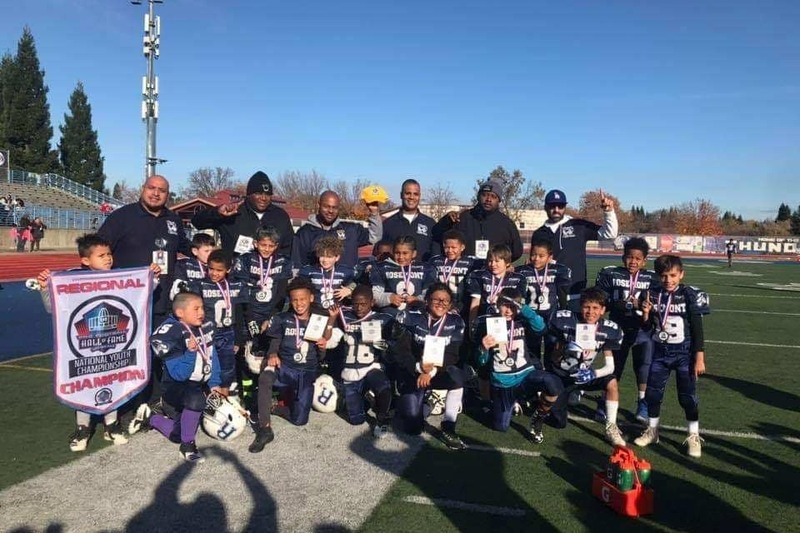 He wanted to play football so badly, and after being cleared to play kicker, he and his team have won their way into the Super Bowl of their league. The problem is, it's in Ohio and neither Jesse nor his team have the funds to get there. Will you help Jesse become the hero of his team and the champion he is by donating to help them get to Ohio? Visit DoItForJesse.com to make his dreams come true. 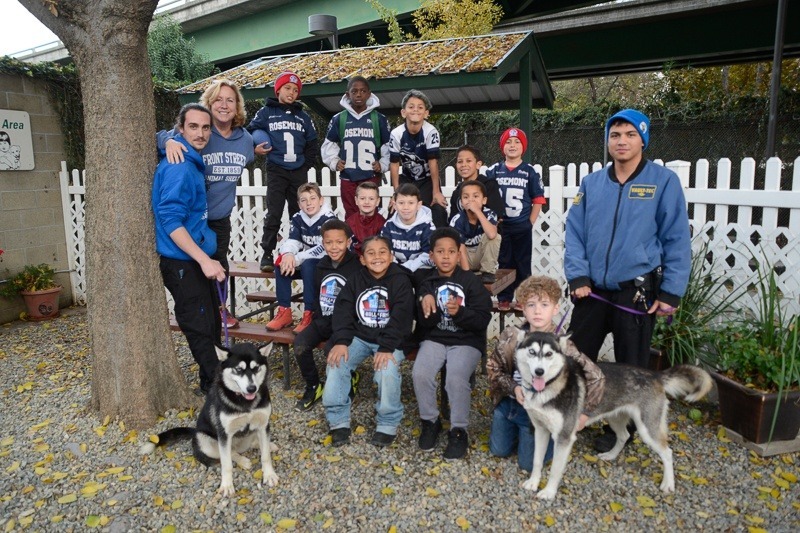 We would like you to meet the Rosemont Jr. Wolverines 8U team, compiled of a team full of superheroes! The Enser Family would like you to meet Hunter, better known as "Superman" -- Just a little bit about our son, Hunter “Superman” Enser #27. This was Hunter's first year playing football and with his hard work, dedication and determination, he has become someone to watch on the field. He puts 110% effort, whether it is making plays, practicing or helping guide his teammates. We are super proud of him. Being a part of this football family has made Hunter a better individual. He loves his football brothers and his coaches. We are thankful for our Rosemont Jr. Wolverines family!! The Money Team!! 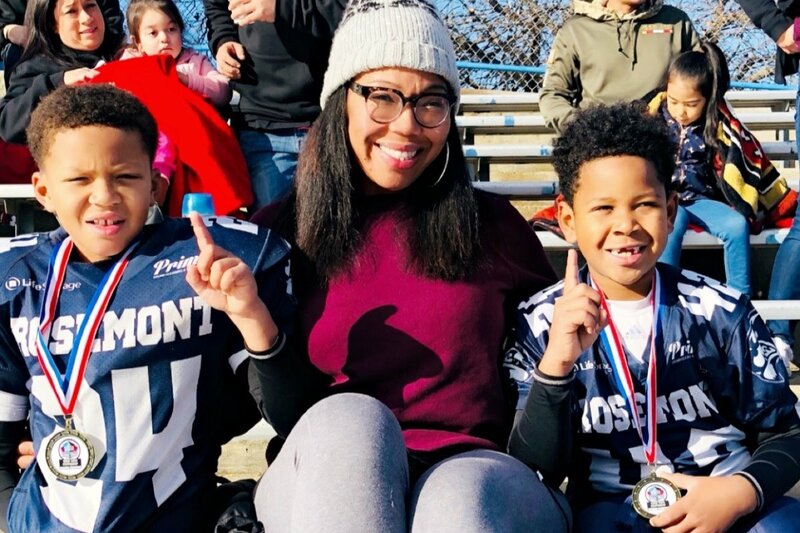 Mrs. Hayes would like to introduce you to her sons, the Hayes Brothers - Football has been more than just a game for the kids of The Rosemont Jr Wolverines. It has became a lifestyle that turned into a journey of brotherhood, sacrifices and life lessons. With that said, I shall introduce you to my two sons, Donovan Hayes (8) and Dallas Hayes (7), who are in their second year of football. I’m beyond proud of these two. I’ve witnessed them grow over this past season from meek football novelists and into intense football experts! Giving recognition to our expert coaching staff, who have not only physically but mentally groomed my boys to be the players they are today. This has definitely been a season of learning and growing and is well reflected in our undefeated football season. 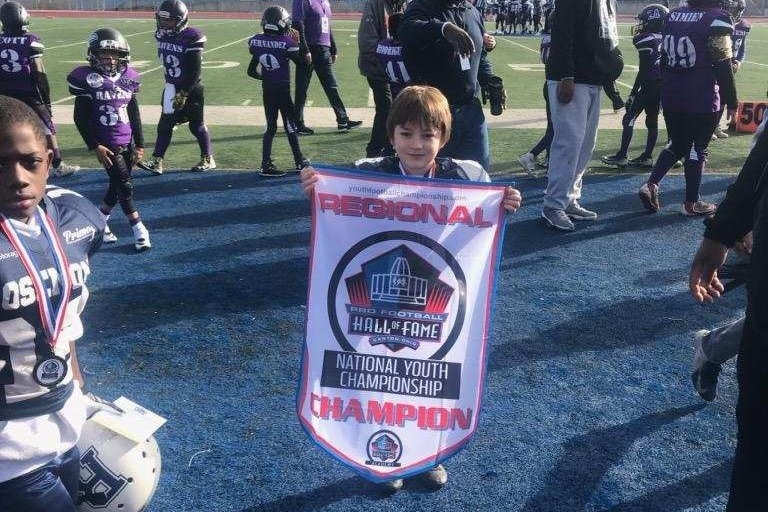 Being able to compete in The World Youth Hall Of Fame Football Tournament will be the greatest form of accomplishment for not only my two sons but for the entire Rosemont team and community. Having the opportunity to fly to Canton, Ohio and compete will be an experience as well as an adventure of a lifetime that some children will never experience again. When the boys were asked what going to Ohio meant to them, one replied, “It means getting to be with my brothers and playing to make people proud of us and proud of." Now introducing Quinten "Q-Sauce" - We are beyond proud of our son, Quinten Rodriguez. He has come such a long way from where he started at the beginning of this season, where on day 1 of practice, he threw his helmet down and said he wanted to quit. We encouraged him to continue to push forward because, although things may be tough, it is no reason to quit. He is the youngest of 3 boys and has always wanted to be just like his big brother, Anthony, who has played football since he was 9. This year, Quinten begged to be allowed to play and, of course, we gave in. The bond he has made with his teammates is like no other. They are what you would call a football family and we are thrilled to be a part of it. The fact that their team has made it this far is a huge achievement and one that the boys will forever remember. We are beyond thankful to the coaches and staff who have made this possible and hope that we are able to send them to Canton. Meet the fastest kid on the planet, Zay-Money AKA "Flash" - My name is Zay'Vielle Younger. I am 8 years old and I attend Golden Empire Elementary School. 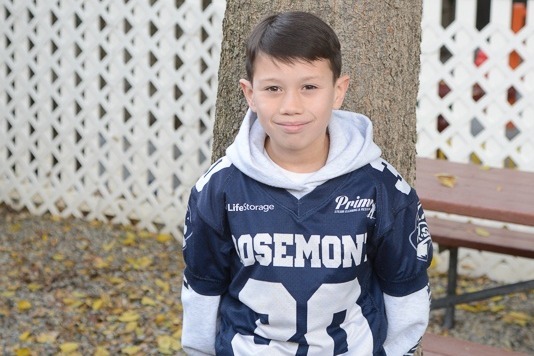 I have played football for 3 years and this is my first year with the Rosemont Jr Wolverines. Out of all three years, this year has been my favorite because I like bonding with my teammates on and off the field. I had the most playing time on this team than all of the years I played so I was able to get the full football experience and I had the most fun during the games. It means a lot for my team to play in Ohio because I love football and I do not want it to end. The chance to play in this tournament would really challenge our team and we can show everyone what we are really made of. My team last year was invited, but we lost in regionals, so to comeback and win this year is something I am very proud of. Playing for Rosemont has been really good and to take this trip with my brothers would be something I will never forget. We all worked very hard throughout the season, and we are the Division Champs, the Regional Champs, and now we get the chance to be World Champs! I am so lucky to be a part of this team, and my coaches, teammates and our parents have made this season the best season ever. ROOOOSSSEEEMMOOONNT!!! Krystal, the Momerine Queen, would like you to meet her little Prince - As an only child, Juelle has always been a very shy and self-conscious kid. Without a father figure at home, it has been very difficult for a full-time-working, single mother to teach a 7-year-old boy all the things he is so eager to learn. 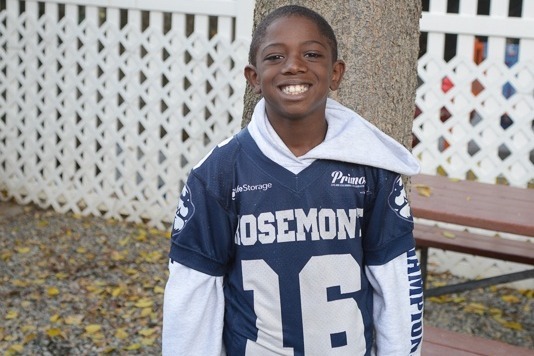 Since joining the Rosemont Jr. Wolverines Youth Football Team, he's become a new kid. He has a new-found confidence in himself and has learned so much about discipline, comradery and teamwork. Through this program, he has found positive, male role models who have taught him things a mother couldn't . He has gained friends who have become "brothers" and the love that continues off the field. Through their hard work and dedication, this team has gone above and beyond any and all expectations. Together, they have built memories they will keep for a lifetime. Juelle has never traveled outside of California and has never been on a plane. To travel to Canton, Ohio to play in the Hall of Fame World Championship is something these boys have been fighting for all season. Please help us build memories these kids will never forget! Unfortunately, brain cancer affected more than one member of the Money Team. Branson would like to share his story - My son's name is Branson. This is his first year playing football. We signed him up to get his mind off of the stresses of daily issues our family has. Branson's dad was diagnosed with a cancerous brain tumor in June of 2012. He has had two surgeries and still suffers daily from painful migraines and severe seizures from the remaining tumor that is non-operable. We try and keep our children away from those times when he has seizures because it can be scary for little kids to see their parent in such distress, and I was starting to see the toll it was taking on our son. We decided to sign Branson up with the Rosemont Jr. Wolverines. We weren't sure what to expect but at this point I was willing to trying anything. We noticed a happier side of Branson. He was finally excited about something other than video games. His teammates and coaches really took Branson in as one of their own and taught him more than just the fundamentals of the game. He felt that he was part of a bigger family. He would get so excited to just go to practice and see his new-found friends. I knew he was changing. Before football, Branson was fragile. He was extra sensitive and had a hard time focusing on daily activities but after spending time with his teammates and coaches, he has really opened up and has become the strongest I have ever seen him. At games, he would say that they won for his dad and that he knew that winning would make his dad so proud and happy and maybe for that day his dad wouldn't be in so much pain. 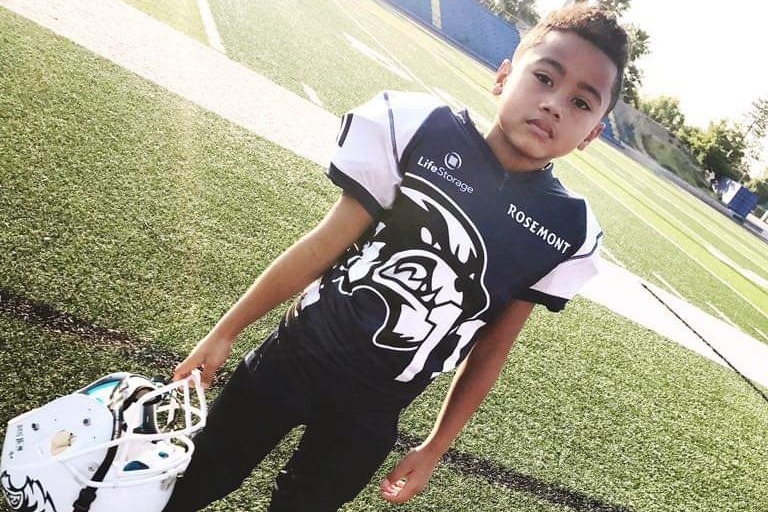 Once I realized that something as little as a football team would help my son in such a big way, I knew we made the best decision signing him up. The team did so well that we were undefeated the whole season. We were so proud of all of the boys. When we found out that they were invited to the Hall of Fame tournament, we were beyond proud. When they won, we were excited for the boys but unsure how to afford the expenses for the trip to Ohio to attend the football camp. This is a big honor that they were given after playing their hearts out. I would hate to think that these exceptional boys that worked so hard to get to this point won't be able to have the experience of their little life because we couldn't afford it. Please help us keep the dream alive for them. It literally means everything. Thank you so much for your support.